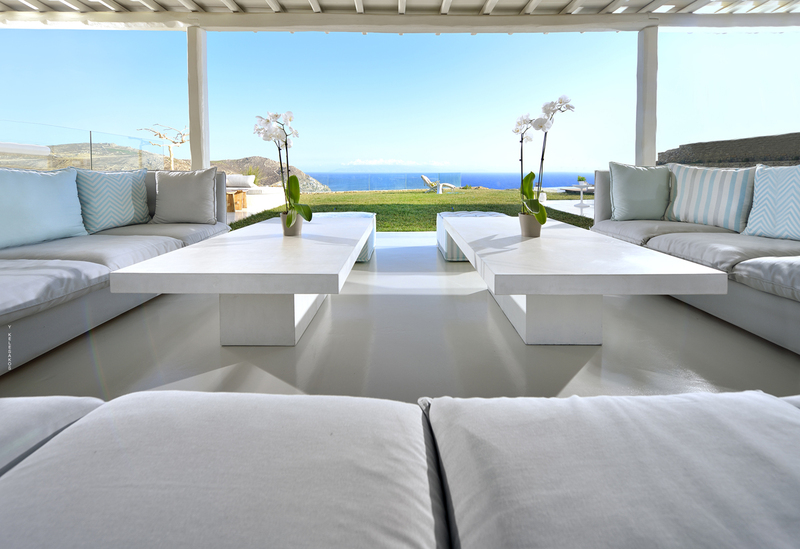 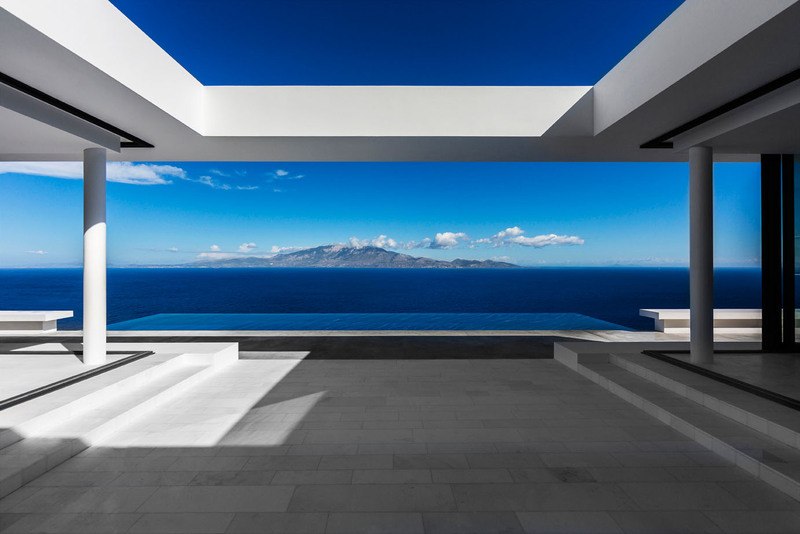 This ocean view villa on the island of Mykonos, Greece seamlessly blends modern interior decor and Mykonos architecture. 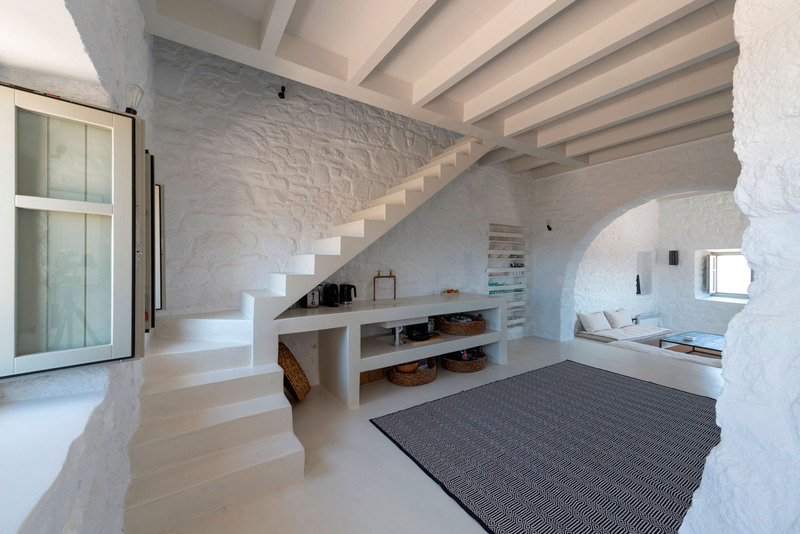 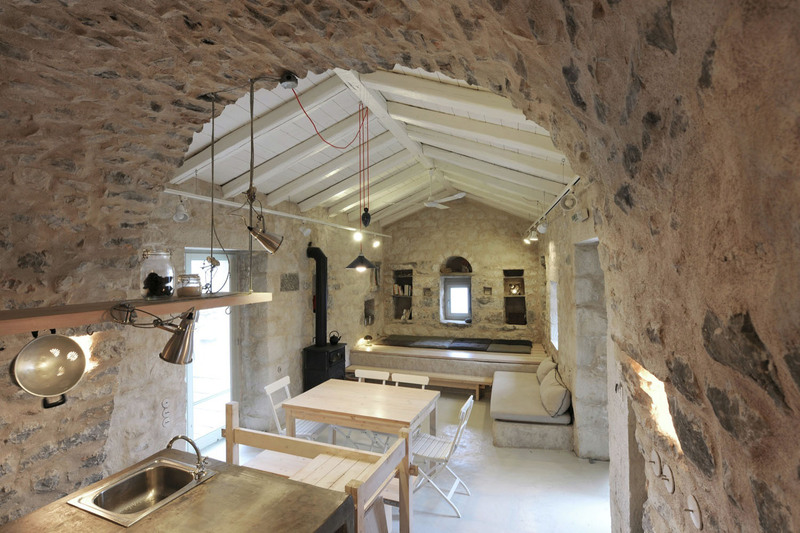 Architects Sotos Mallas and Aaron Ritenour of esé Studio Architects created the Lycabettus Penthouse in Athens, Greece with solid materials and sustainable design. 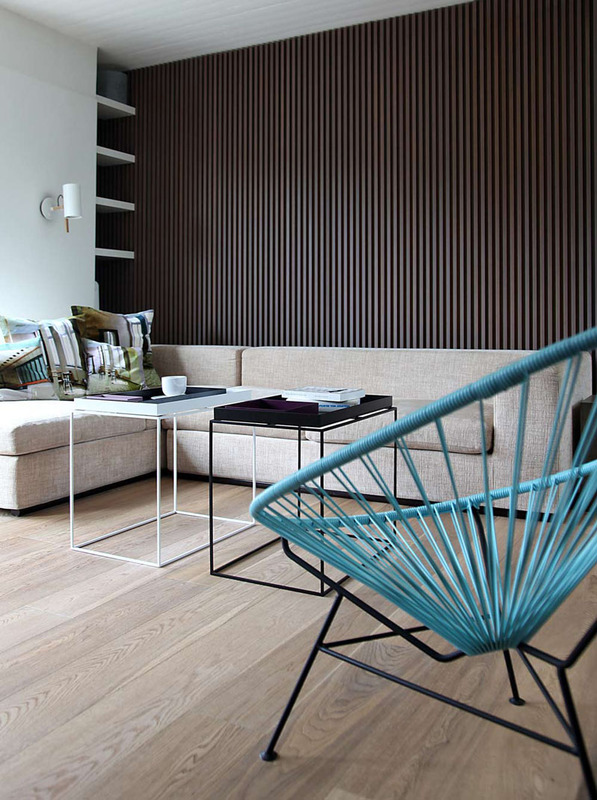 The refined modern interior design focuses on beautiful craftsmanship with an awareness for the environment. 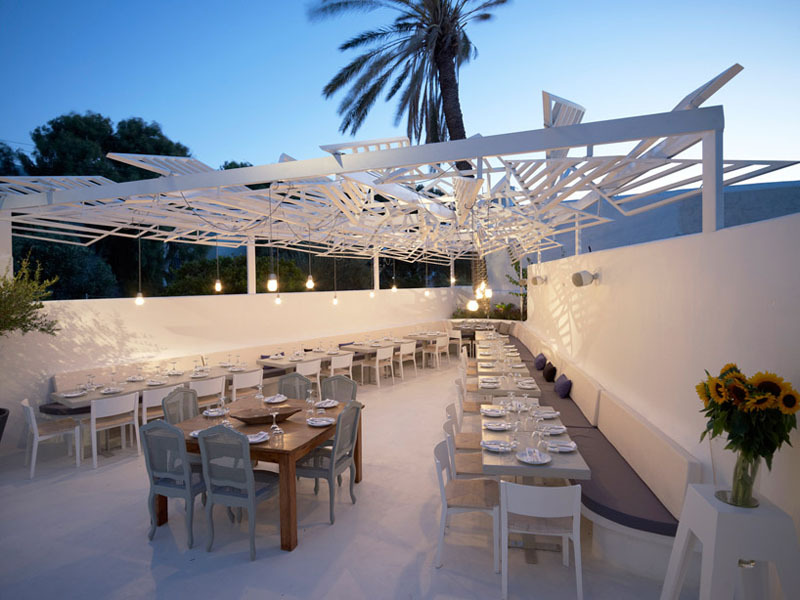 Greek architectural firm LMarchitects has created a contemporary outdoor dining establishment by expressing traditional elements. 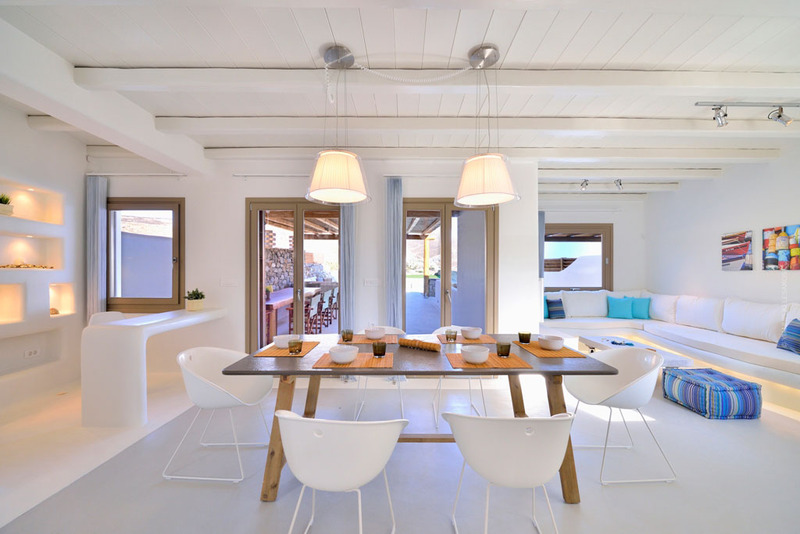 PHOS Restaurant in Mykonos, Greece is inspired by the Greek word ‘phos’ which means light. 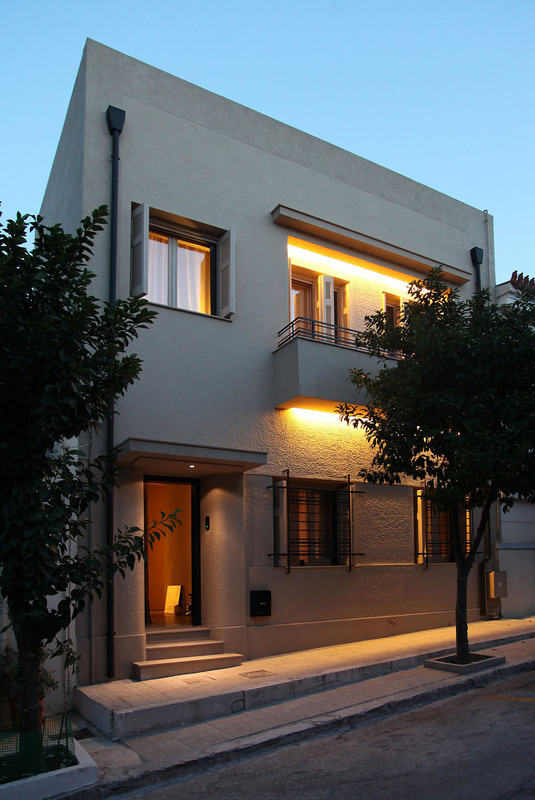 Designed by by Minas Kosmidis, the most important element of the renovation of this two storey detached house in Athens, Greece is the exploitation of the view of the Acropolis.